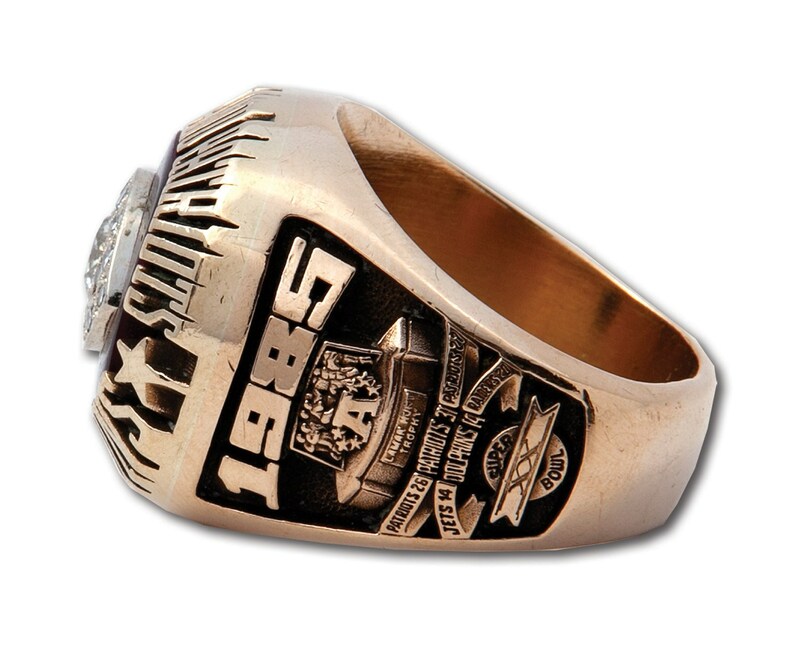 Addendum: This is a 10K gold ring; catalog states 14K. It was a Cinderella run in 1985 for coach Raymond Berry’s 11-5 New England Patriots, who became the first wild-card team in NFL history to get to the Super Bowl by winning road games against the Jets, Raiders, and Dolphins. The Patriots were no match for Mike Ditka’s “Super Bowl Shuffle” Bears, who finished the regular season 15-1 and thumped the Patriots, 46-10, in New Orleans. 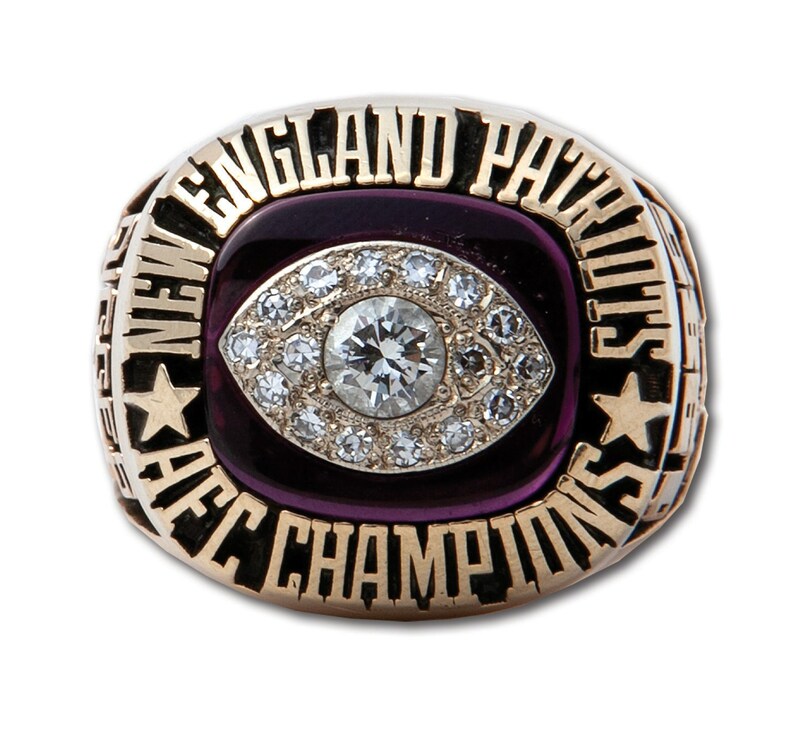 But the 1985 Patriots are fondly remembered by New England fans whose loyalty predates the Brady/Belichick dynasty. 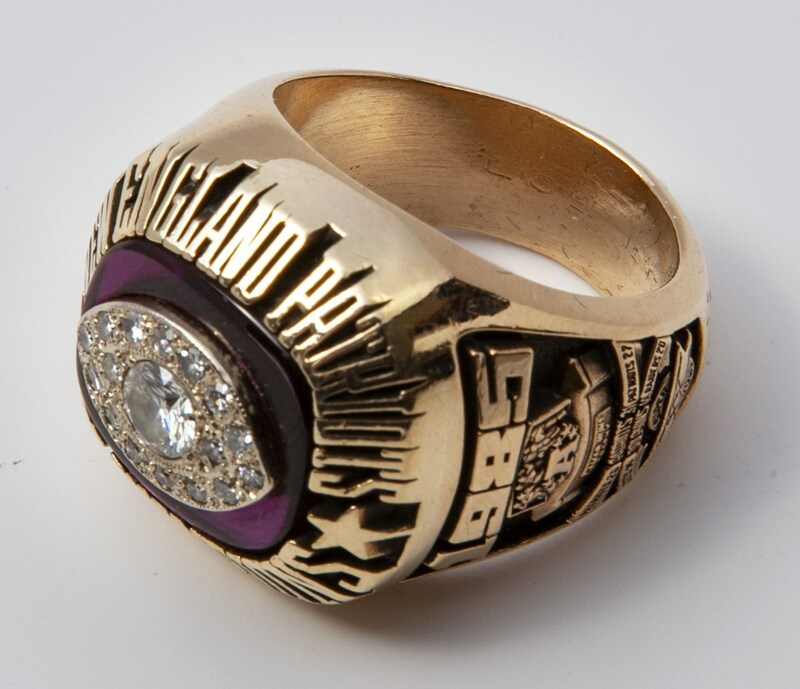 Presented here from that historic run is a scarce AFC Championship 10-karat gold ring originally issued to a member of the Patriots front office. At center, set into a larger red stone, is a football design with a larger center diamond surrounded by smaller diamonds. The perimeter of the face reads, "New England Patriots-AFC Champions". 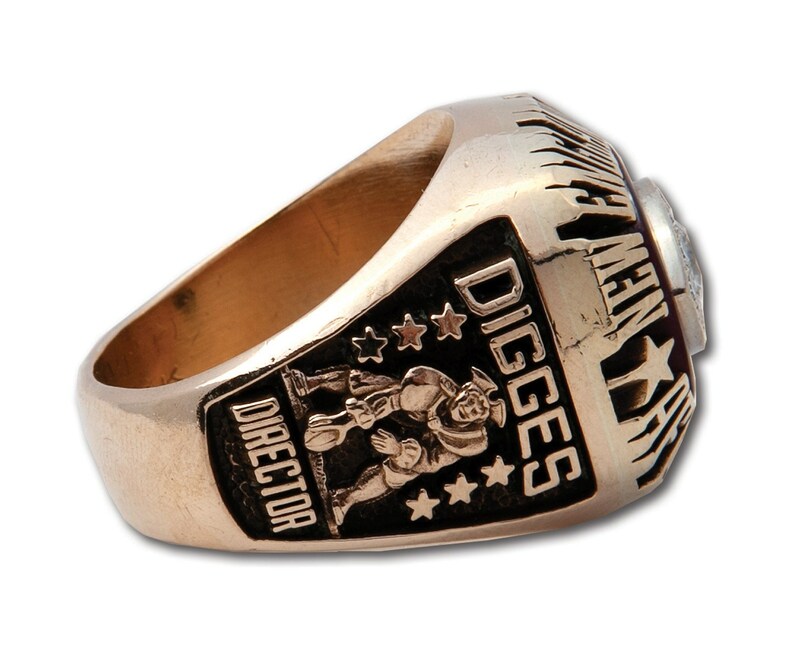 On the left shank of the band are "DIGGES" and "Director" with the Patriots logo, while on the right is "1985", an AFC Trophy design, and the Super Bowl logo. Stamped inside the band is "LGB 10K" which is barely legible due to heavy internal wear. The size 11.5 ring is clean with more moderate wear externally.